Your choice of roofing contractors is vital in maintaining the lasting and reliable performance of your roof system. After all, your roof is one of your home’s largest and most essential components, helping keep your living spaces dry and damage-free. When you need to work on your Manassas roofing, choose a HAAG-certified roofer like Peak Roofing Contractors to provide the best solutions. We have earned this distinction from Haag Engineering, a forensic engineering firm that specializes in storm damage to roofs. This means we have exceeded the comprehensive testing and damage assessment training set by the Haag program, ensuring deep expertise on all your roofing needs. Here’s how working with us benefits you and your home. 1. Excellent Roofing Solutions — As a HAAG-certified residential roofing inspector, Peak Roofing Contractors is highly skilled on all aspects of steep-slope roofs. These include extensive knowledge of the manufacture, installation, weathering, maintenance, and repair costs for major roofing types. Whether it’s wind or hail damage, or any number of roofing problems, we can provide the appropriate solutions. We’ll make sure to restore your roof to its great condition. 2. Credibility — The HAAG certification carries weight, providing report conclusions with a deeper level of credibility. This distinction is also recognized by all insurance companies, ensuring that our roof evaluations will be acknowledged and your claim compensated without fuss. 3. 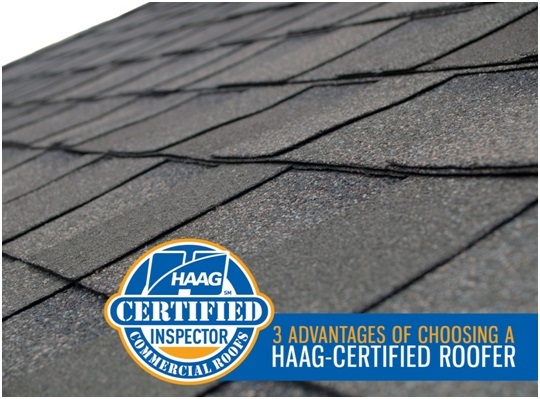 Accurate Roof Damage Inspection — Choosing roofing companies in Northern Virginia with the HAAG certification can save you from inaccurate estimates, which can result in stress and additional expenses. This can also lead to disputes with your insurance adjuster. Following a major storm, trust Peak Roofing Contractors to ease your mind with an all-inclusive inspection of your roof. We are well-versed in damage assessment techniques, including wind and hail interaction with roofing, inspection safety, roof area calculations, and applicable codes. We’ll provide you with a detailed report of your roof’s condition and their necessary repair or replacement solutions. Learn more of the benefits of hiring a HAAG-certified roofer like Peak Roofing Contractors by calling us today at (703) 745-5153.